People who get incarcerated—in prisons or jails—tend to be people with more advanced addiction. If they have opioid use disorders, they typically spend their term without any opioids. When they are released, their tolerance has decreased, and if they relapse—which is likely—they may overdose. That danger was never as great as it is now, explained Josiah D. Rich, MD, MPH, professor of Medicine and Epidemiology at The Warren Alpert Medical School of Brown University, and director of the Center for Prisoner Health and Human Rights at The Miriam Hospital in Providence, Rhode Island. Rhode Island, under the leadership of Gov. Gina Raimondo, has led the state’s initiative to expand opioid treatment with medications to the prison and jail system. She put over $1 million a year into her budget that the General Assembly approved to screen incarcerated people for opioid use disorder and offer them medications for addiction treatment (MAT). Dr. Rich, who treats incarcerated patients, works as a consultant to the Department of Corrections, alongside CODAC Behavioral Healthcare, a not-for-profit opioid treatment program (OTP) that delivers methadone and buprenorphine to inmates. “We screen everybody coming into prison and jail for opioid use disorders,” said Dr. Rich. “We offer treatment to everybody, using clinical criteria to determine which medication someone should get: methadone, buprenorphine, or naltrexone.” Naltrexone is by far the least popular medication. Under the Rhode Island program, which started in July 2016, 100 incarcerated individuals a month are leaving the system on one of the medications—well over 1,000 people, so far. “About half walk out on methadone, about half walk out on buprenorphine, and about a dozen walk out on naltrexone. “The Department of Corrections has a contract with CODAC,” said Dr. Rich, noting that the OTP has several programs around the state, which is critical—released inmates will be able to attend a program near them. CODAC offers all three medications. CODAC is contracted to come into the prisons and jails, induct treatment, and enroll inmates into their system. Many times, jailed inmates who are not sentenced have no idea when they will be released. But no matter when it is, they can go to their nearest CODAC facility, which will look them up in their system, find out when they got their last dose and what it was, and continue treatment. Inmates don’t have to go to CODAC—they can go to any program—Dr. Rich noted. But the transition makes it easy for inmates to know they have somewhere they can go and get dosed whenever they get out. CODAC manages delivery of the methadone. “It’s on their license,” said Dr. Rich. Many years ago, the state’s department of corrections did have their own license. “It was easier to turn the logistics and accountability over to CODAC,” he added. Until recently, CODAC poured the doses on their own premises, and each dose was labeled with the patient’s name and delivered to the nursing station in the prison and jail, where corrections nursing staff would dispense the methadone to the inmate. This is about to change; the correctional facility constructed a separate pharmacy, and CODAC nursing staff will dispense the methadone doses from there. In addition, the opioid epidemic is so widespread that a large proportion of the custodial staff probably has someone—a family member or friend—who is affected. The message is getting out that this is a disease, not a moral failing. Jonathan Giftos, MD, clinical director of substance use treatment for the Division of Correctional Health Services at Rikers Island, a New York City jail, has two unusual and helpful aspects of jail-based treatment going for him. First, Rikers has its own OTP. Secondly, correctional health services in New York City is a division of the city’s public hospital system, NYC Health + Hospitals, not part of corrections. The OTP at Rikers started in 1987. Clinical staff are, for the most part, supportive of it. But still, when Dr. Giftos got there in 2016, he saw that some changes were necessary. First of all, it’s a jail, meaning that the majority of patients are pretrial detainees, with a small percentage of patients serving a jail sentence of a year or less. 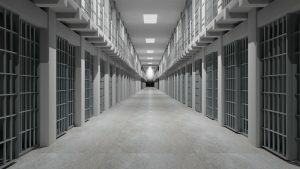 While patients could receive methadone or buprenorphine maintenance in the New York City jail system, the New York State prison system is unable to continue these treatments. For this reason, patients admitted to jail with felony charges historically were not eligible to continue maintenance due to the possibility that they may be state-sentenced. This meant that many patients with felony charges had their methadone or buprenorphine discontinued on jail admission. But here’s the problem: many people are accused of a felony, but prosecutors only use this as a bargaining chip, and people never end up serving out that sentence. 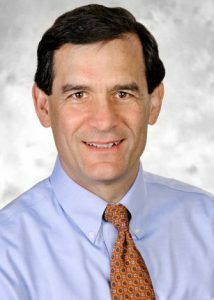 “If you were admitted with felony arraignment charges, you would often be tapered off your methadone,” said Dr. Giftos. So when he arrived, he had an analysis conducted. He found that of all the jail admissions with an opioid use disorder and felony arraignment charges, only 30% of patients were sentenced to time in the state prison system. The other 70% were eventually discharged directly from jail back into the community. The predictive model used to guide eligibility for continued maintenance treatment was not particularly accurate. Now, Rikers gets daily reports of every inmate who is convicted of a felony, at the point of conviction. Sentencing usually takes place a month or so later. If the patient is state sentenced, they still need to be tapered off treatment before transfer. If the patient is sentenced to “city time” or time-served, they can remain on treatment and are linked to community treatment on discharge. This has allowed CHS to adopt essentially “universal eligibility” for continued maintenance treatment on jail-admission, said Dr. Giftos. Every new inmate arriving to jail on community methadone maintenance has a dose verification with their OTP during the first 24 hours at Rikers, is courtesy guest-medicated for the first few days, and eventually is enrolled in the Rikers OTP. For new inmates who come in not on methadone or buprenorphine, but are dependent on opioids such as heroin, medically supervised withdrawal is done with methadone (starting at 20 milligrams and slowly tapered down) to manage symptoms. After that, the goal is to explore whether the patient is interested in starting methadone maintenance. At Rikers, out of the 2,000 patients with an opioid use disorder, the overwhelming majority are detainees, said Dr. Giftos. Dr. Giftos credits community OTPs with helping his patients. “My experience working with OTPs has been very positive,” he said. “They are reliably available to patients in the early days of reentry. Patients are able to be courtesy guest-medicated while they go through the process of enrolling in the treatment program. OTPs also provide other important onsite services such as recovery groups, case management and primary medical and mental health care. 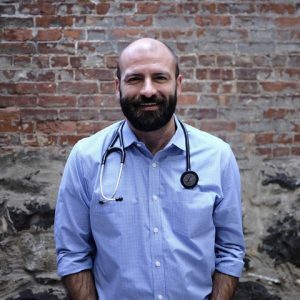 Dr. Giftos was a social worker before he went to medical school, and did his first rotation as a medical student in the jail system with Dr. Ross Macdonald, who is now chief medical officer at Rikers. Kathleen Maurer, MD, medical director for the Connecticut Department of Correction, forged a path to enable OTPs to deliver methadone to their existing patients in the state’s prison and jail system, and then got the program funded and fully licensed. She has just published a study, with co-authors, showing that the methadone maintenance treatment for inmates is associated with positive results, both during and after incarceration. There are barriers in federal and state regulations, but in her study, a community OTP provided the methadone to inmates, and the study found that compared to a control group of inmates who underwent forced withdrawal, the methadone-maintained inmates were less likely to receive “disciplinary tickets.” Moreover, for those who continued treatment after release, there was reduced risk of arrest, new charges, and re-incarceration, compared with those who did not re-engage (see reference). After visiting Rikers, Dr. Maurer convinced her department to allow OTPs to bring in medication for their patients. The Connecticut OTPs participated without funding at first, because they were losing all their patients who became incarcerated. Meanwhile, Dr. Rich and his colleagues conducted an evaluation of the impact of their program on statewide overdose deaths, which is likely to be published in coming weeks. “In my 25 years and hundreds of published articles, this has a possibility of being among the most impactful,” he told AT Forum. Moore KE, Oberleitner L, Smith KMZ, et al. Feasibility and effectiveness of continuing methadone maintenance treatment during incarceration compared with forced withdrawal [Epub ahead of print]. J Addict Med. 2018;Jan 16. doi: 10.1097/ADM.0000000000000381.